Jason & Russell. Jason & Russell Brand appear onstage during MTV's Total Request Live. April 15th, 2008. Photographer-Bryan Bedder. 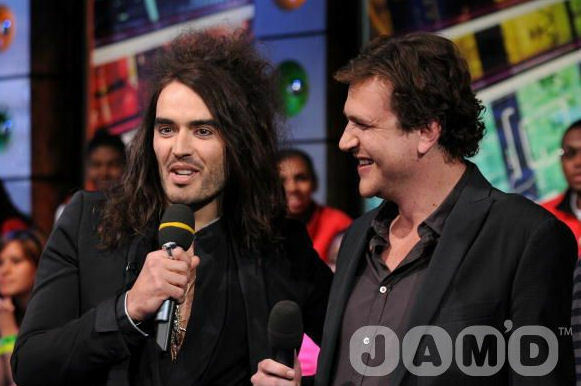 Wallpaper and background images in the Jason Segel club tagged: jason segel image mtv trl total request live russell brand picture april 2008.